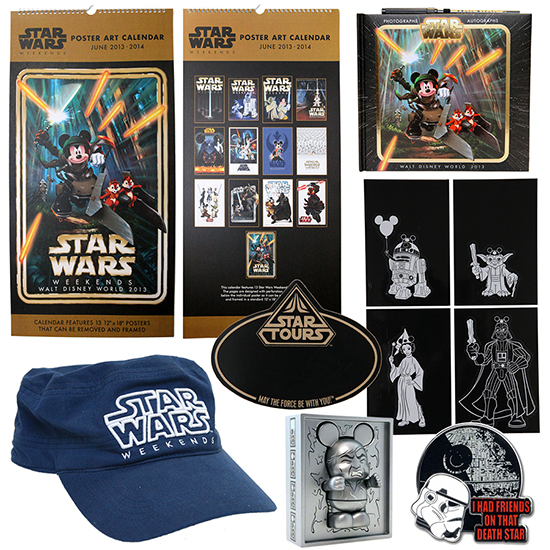 Disney Parks Blog recently posted a preview of new merchandise that they will be offering at this year's Star Wars Weekends taking place at Disney’s Hollywood Studios on May 17, 2013. 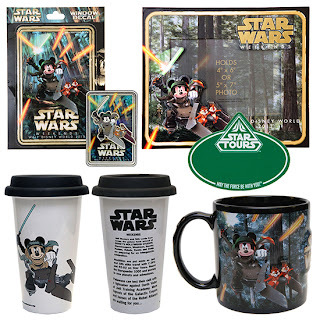 The logo is featured on numerous items including a Disney pin, a coffee mug, a photo frame and more. Disney Design Group also created a unique Star Wars Weekends “title crawl” image for merchandise, which reminds me of the opening title sequences from the Star Wars motion pictures. Each poster measures 12-inches by 18-inches, and can be removed from the calendar for framing. We are also introducing a deluxe autograph and photograph book (I’m adding that to the “long overdue” column). The popular Star Tours nametags using Aurebesh will be returning. This year, we will have a new black name tag for Annual Passholders only! 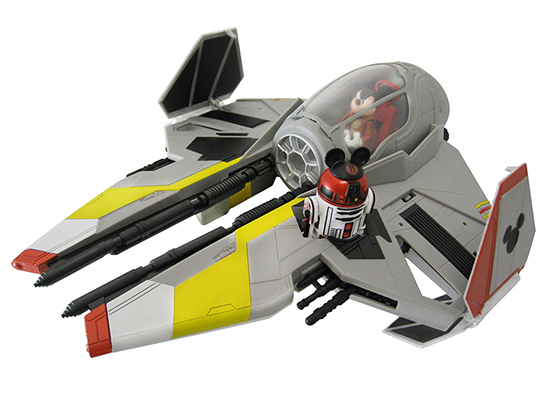 Check out Jedi Mickey’s Starfighter! 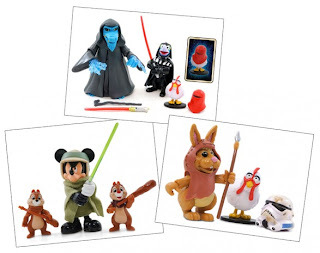 Of course what is Star Wars Weekends without another Muppets crossover figure or two? Two other roleplay type of collectible toys that were featured at Star Wars Celebration last year was the Salacious B. Crumb latex character and the thermal detonator “hot potato” game. All celebrating the 30th Anniversary of "Return of the Jedi!" Looks like I'll be saving up those pennies for all the great goodies! 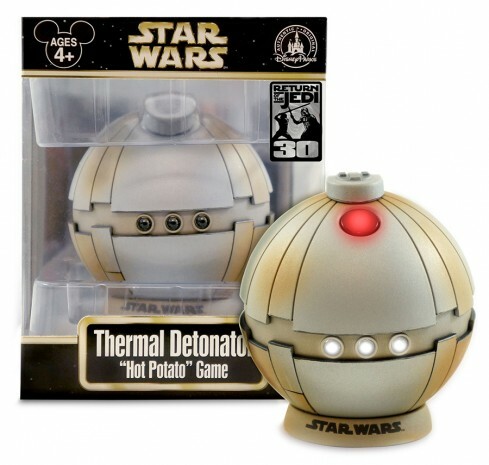 What do you look forward to the most during Star Wars Weekends? 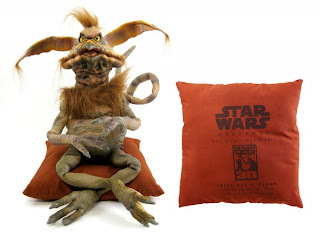 We will be covering Star Wars Weekends 2013! 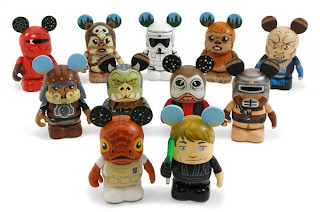 Be sure you check back with JediMouseketeer.com and Sorcerer Radio (SRSounds.com) as we bring you all the latest news and updates!